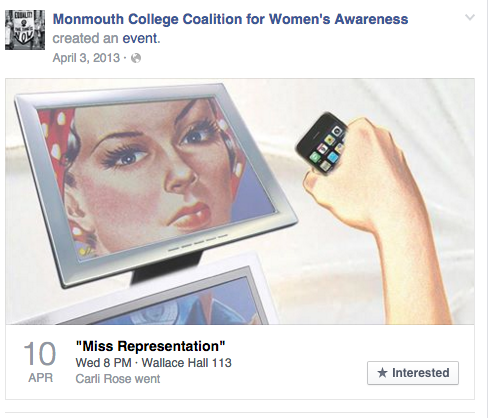 In the spring of 2013, the womens studies program and American Association of University Women presented the film Miss Representation. 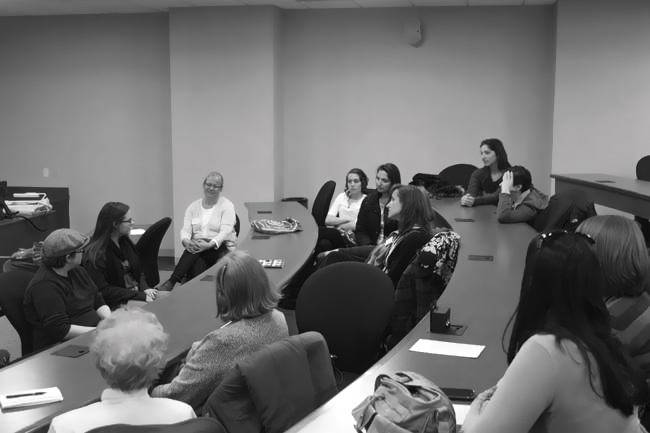 Trudi believed it was essential for her students to meet AAUW because this organization has been politically involved in the Monmouth community. Once the film ended the people that attended this event had a conversation about their thoughts and opinions of the film and on how women are portrayed in the media. 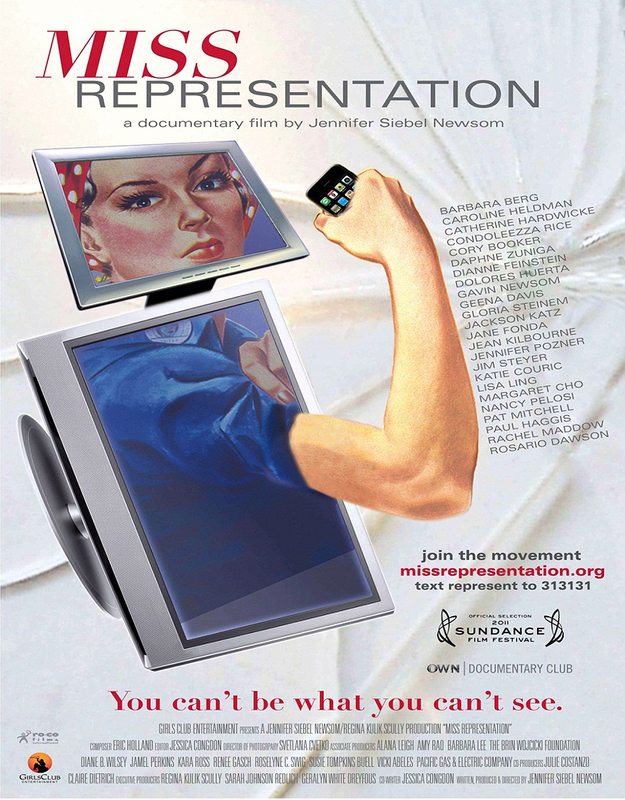 Miss Representation is a 2011 documentary film about how the media plays a role to under-represent women. Women in the media tend to be objectified and do not hold executive positions. Ultimately the film advises women to support and work together to fight against the negative gender stereotypes. The cover of the film. Students along with AAUW created this event to educate the campus community on how the media misrepresentations of women. After the film, they had an open discussion. A glimpse of the film.